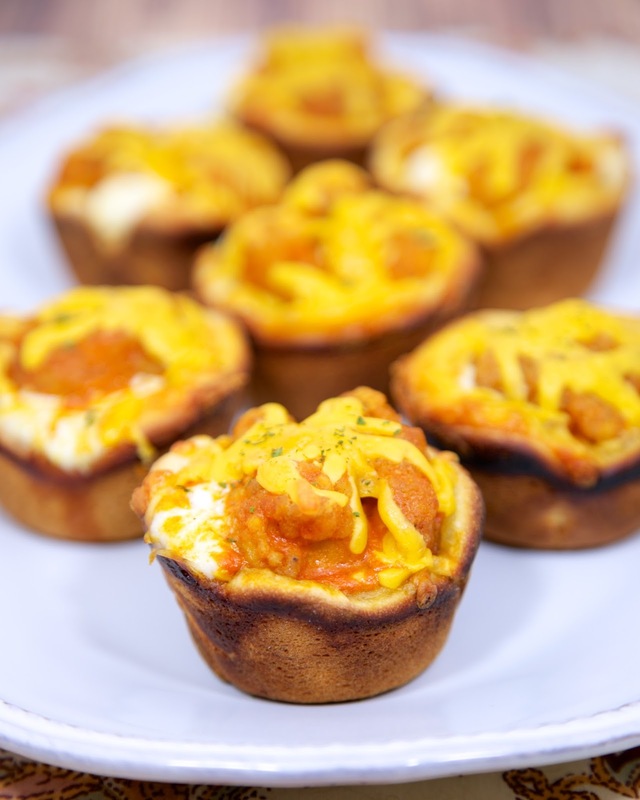 Buffalo Chicken Cupcakes - frozen popcorn chicken, buffalo sauce, ranch and cheddar baked in crescent cups - great for lunch, dinner or a party! Quick appetizer and snack recipe. I've made several versions of savory cupcakes last year. Chicken Parmesan, Meatball Sub and Chicken Cordon Bleu. Obviously the next version was these Buffalo Chicken Cupcakes. They are super quick and super delicious. They are great for lunch, dinner or tailgating parties. I'm pretty sure these will be on our College Football Championship and Super Bowl menu. These Buffalo Chicken Cupcakes use frozen popcorn chicken. There is no need to thaw the chicken before baking. It will bake up right along the cupcake dough. You may need more than 12 pieces of popcorn chicken if the pieces are small. I try and make sure the muffin up is full of chicken so nobody get cheated. Remove dough from can; press seams to seal and press into an 8x18 inch rectangle. Cut dough into 12 squares. Press squares into muffin pan cups. 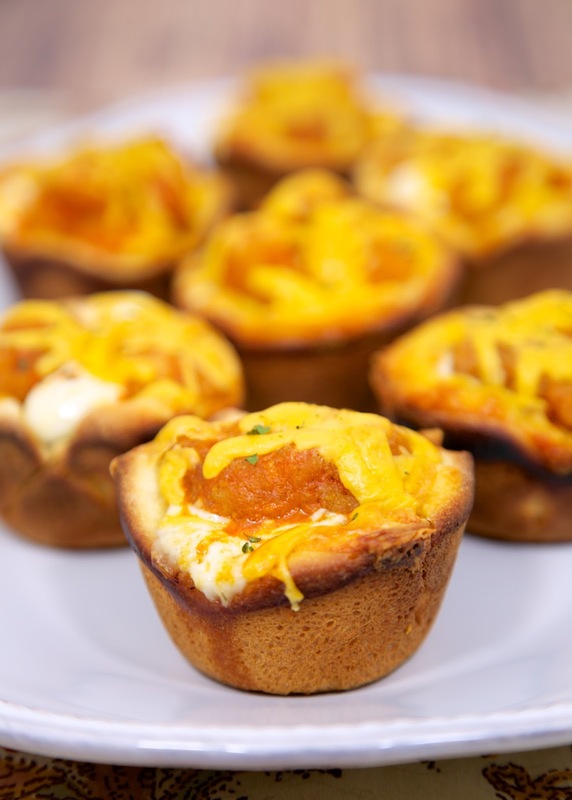 Place 1 tablespoon of cheddar cheese in the bottom of each muffin cup. Dunk chicken pieces in buffalo sauce. Place chicken pieces on top of cheese; top each piece of chicken with 2 teaspoons Ranch dressing. Sprinkle with remaining cheddar cheese.